In my previous post I explained how I used the Types plugin to create a new custom post type. That custom post type will be used to display a table of supported themes for my WordPress SEO plugin, and is therefor called wpseo-theme. 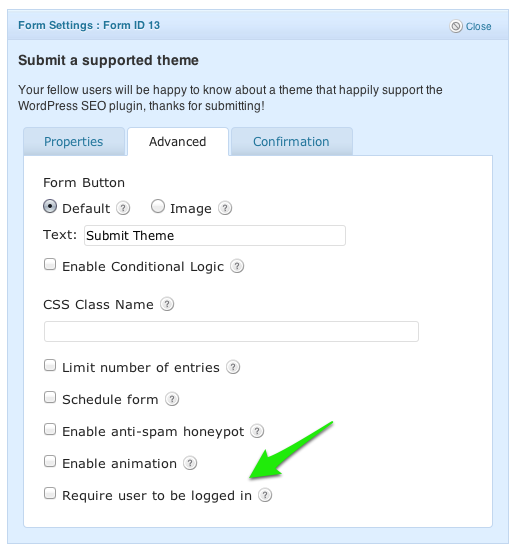 Now the trick here is that I want users to be able to submit themes through a form. 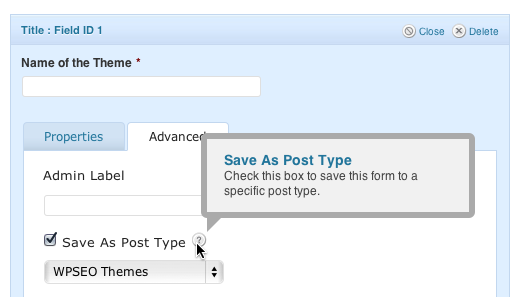 By default, Gravity Forms allows you to create posts through a form. It doesn’t have support for custom post types at the moment though, in part because a wonderful plugin was already created that allows for this. 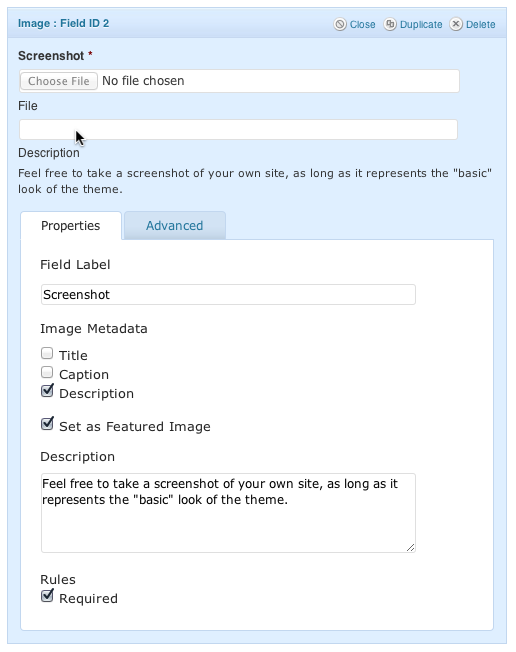 This plugin, aptly named Gravity Forms + Custom Post Types can be downloaded from WordPress.org. The “description”, which will just be the body text, so you can easily drag in the Body input field. 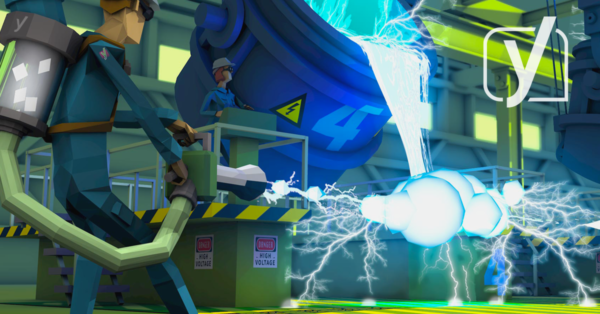 An image, which should be saved as the featured image too, more on that below. Several custom fields, more below too. As you can see, setting the image as featured image is as easy as ticking the box. It’s wise to also ask for a description if you don’t know what’s going to be on the image. In my case, it’s a screenshot of the theme, so I won’t bother and just set the alt tag automatically. 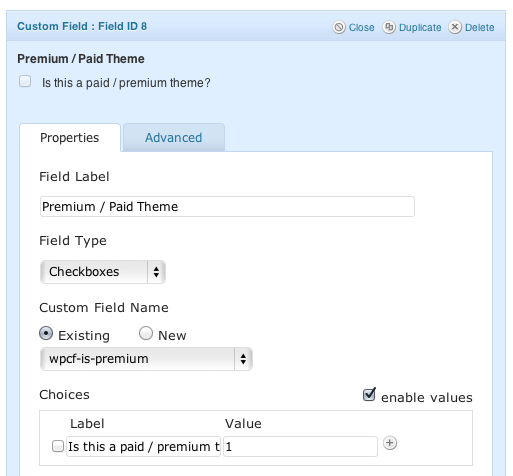 That’s the name of your custom field, but you should prefix it with “wpcf-“, because that’s the Types plugin naming convention, which prevents its custom fields from clashing with other ones. Of course, if you created a custom field group from already existing custom fields you don’t need to prefix the custom field name. Be sure to check the “enable values” box and set the value to just “1”. That way, if checked, Gravity Forms will save it as value “1” and the Types plugin will “get it”. This allows for all sorts of workflows, find one that suits your site! We still haven’t written a single line of code, yet we’ve already created a custom post type and created a form that allows people to submit custom post types to us. 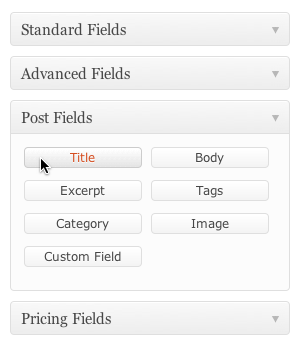 Creating a custom post type + custom fields. 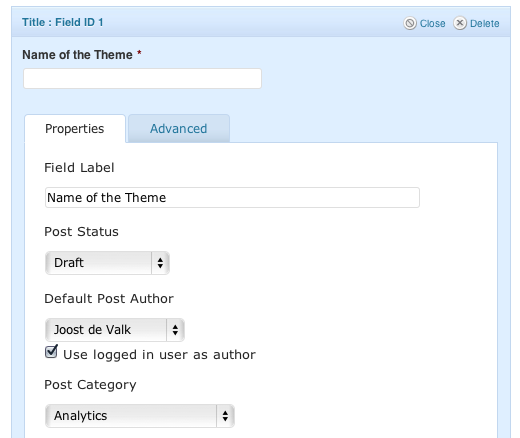 Creating a form through which people can submit themes that fills this post type. Creating a browsable interface for this post type. In my next post, I’ll explain how to use the Views plugin to create “views” for this post type and unveil the finished product! You didn’t create page 3 yet? >> 03. Creating a browsable interface for this post type. Tried to find it via the search, but seems its not there yet. Would like to learn some more from your best practices etc. 1. Is there a way to get the list of possible Select values from a Custom Field (which is defined as a Select Field) and into a select box form? I’m probably just being dumb but can’t find a way to get this to work. I’m also quite interested to hear more from Roger on his “update” solution. Sounds like he’s got it solved but I’m a little too much of a beginner to understand his solution. I’ve been digging away at this and trying to figure out if it is possible to add the SEO fields to one of these forms? Anyone have any thoughts? LOVE IT. any way to integrate this with your SEO plugin? would be great to allow all the SEO options per page/post be available via the form. I’m pretty sure where you’re going, but I’d like to see the route you chose. Great writeup. When will you publish Part 3? Love this plugin and this helpful write-up. I am a little confused regarding posting data to custom fields. 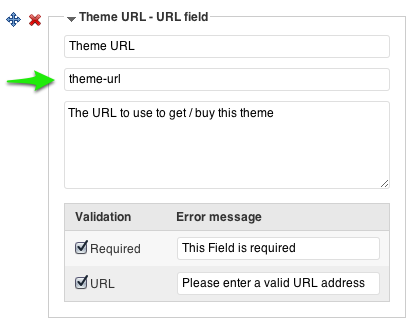 Should a list of available custom fields show up under “Custom Field Name – Existing”? 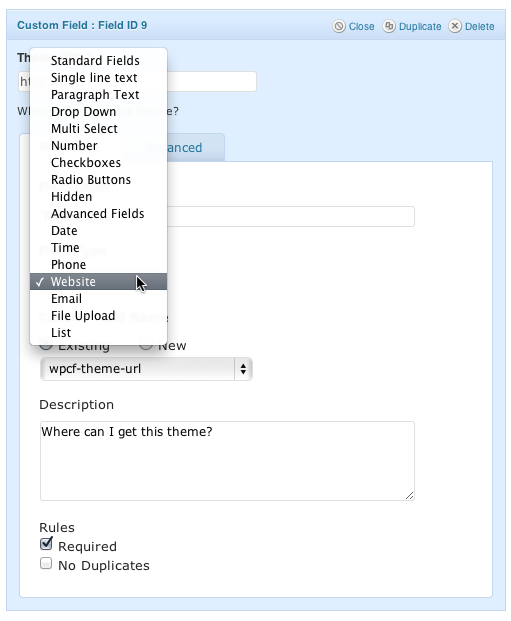 I have created custom fields – they show up on the WP editor for the CPT but nothing shows up in this plugin. Or no I need to enter them under “New” before they will show up? If I have to enter them, and I have added them to a Custom Field Group, it sounds like I would enter them without a “wpcf” prefix? Me too. Will the final solution include search within the custom posts? Will you be using a WP archive of those posts or something else? I agree with Dave Porter — eagerly awaiting the third installment! Really looking forward to the final installment of these articles ? It’s been a while! Hope you have not forgotten? Hey, great post but I’m having a problem understanding how to display custom post types in my posts. I’m making an ad site but it’s only the body and title showing up in posts. Ha! I read your to-do list and the first thing that came to my mind was “VIEWS!” Then I read the next sentence. Gravity Froms and the Custom Post Types plugin have been a fantastic combination for one of the sites I run. We’ve been adding more user submitted features and it works so well to collect that information and keep it for our approval before making it live on the site. The one thing I don’t like is that Gravity Forms also stores a record for the entry. Any ideas on how to make it stop doing that when the data is being store in a custom post type? What are the 10 and 2 references too? Does this block all custom post submissions but leaves other submissions? The plugin is awesome. I also add the plugin : “Gravity Forms + Custom Post Types” which add the possibility to add also custom taxonomies which is totally awesome! Fantastic article!! I cannot thank you enough for turning me on to Gravity Forms it is an amazing plugin (just like yours are). Thank you so much again for all that you do and write I have learned so much from you. Thank you Joost ! I’ve been thinking of purchasing Gravity Forms for a while now and your post has helped tremendously. I appreciate all you contribute to the WP community and will be sure to use your link when it’s time to buy. If only you could use gravity forms to edit an existing post in the front end, that would be incredibly useful. That’s it – when GF calls the wp_insert_post it will detect that ID is set and modify the existing post, rather than creating a new one. 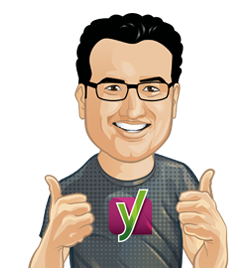 Hi Roger, I am fairly new to Gravity Forms and have been searching for the instructions on how to add a hook to extract information submitted from a list of categories. I do not even know how to add a hook. Can you point me in the right direction? Hard to do the edit if the user is not logged on. You can use the front end editor plugin on wp.org to handle editing as an admin quickly. This write up was really helpful, thanks Joost! I’ve used this a few times and it works well. Where I ran into issues is if my CPT doesn’t use the title field. I have custom metaboxes for everything but the CPT must have the default title field for this to work. Not the end of the world but that dependency has been an issue and probably will be in the future for customized sites. Gravity is very good paid plugin, with addition of this plugin it simply rocks. Amazing. This plugin is a fantastic addition to Gravity Forms – I’ve combined it with the PayPal add-on for creating a pretty powerful event registration system. The form populates a (non-public) post type of “attendee” with various custom fields & taxonomies for address, email, ticket type, accommodation, etc., so the site administrator can for example easily see a list of all attendees who’ve bought a premium ticket. Works like a dream and took me less than 3 hours to build! The only coding was for the template and a CSV export function. Man, where were you 6 months ago!! lol. I was setting up a user oriented wine rating site. I did all of this by code originally. The multiple detailed front end posting forms were hell for a non-experienced coder hack like myself. I did finally switch over to Gravity Forms. But wow, the process you are walking us through is pretty much what I had to stumble through the hard way. Thanks for a valuable series! Was wondering if your Wine Rating site is “live”? Would love to check it out!